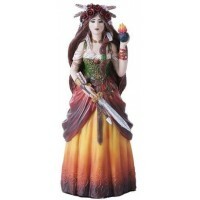 Celebrate Brigid, the Celtic Goddess of the Hearth on your altar with this lovely statue. Brigid is the female heart of Ireland, though Her worship spread far beyond its borders. Bridget is Goddess of the Forge. She is the Mother of Inspiration, Healing, Poetry and Smithcraft. 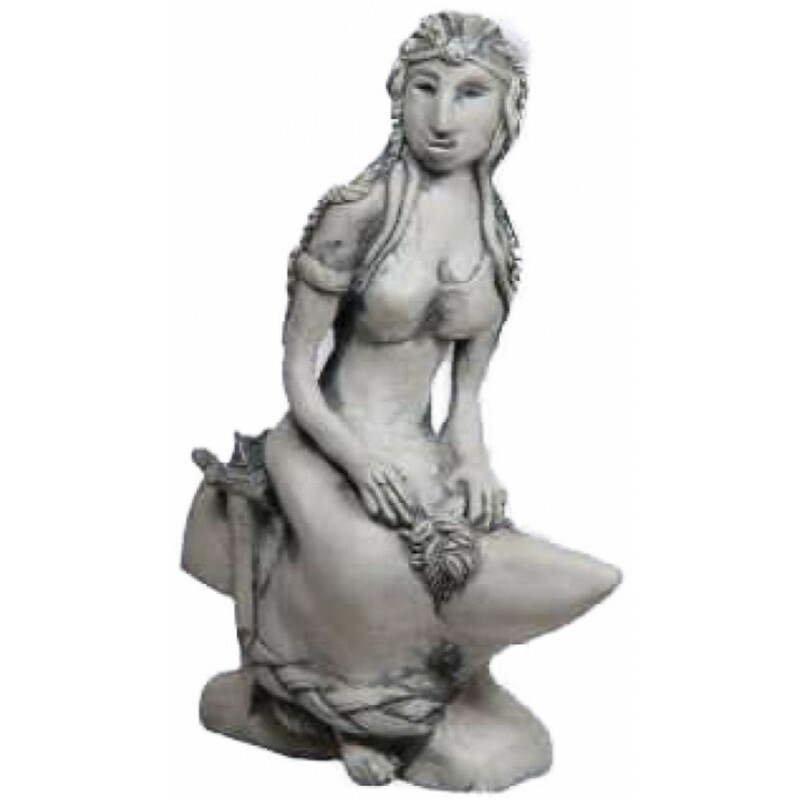 Known as a powerful Fire Goddess, Brigit she is also a Water Goddess. 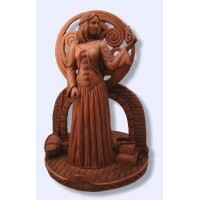 Brigid presides over fertility and childbirth as well as all forms of creation. Cattle, horses, sacred wells, stones, herbs and trees are among the symbols most often associated with Brigit. 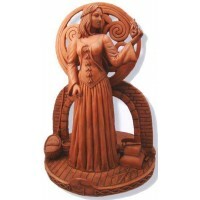 February 2nd, known as Imbolc, is sacred to Brigit, as February 1st is the sacred day of St. Brigit. Her presence is felt, and still worshipped at Her sacred wells, and at Kildare where an eternal flame still burns in Brigit's honor. Brigit is a Goddess of vision, justice, harmony and strength, bringing inspiration to poets, skill to healers and strength to warriors. Brigit, the "Exalted One", Protectress of Mothers and children, is depicted sitting upon an anvil, symbol of the forge and smiths. In Her hand she carries herbs of healing. Her hair is partially plated in three strand braids signifying the triple natures of creation, inspiration and healing as well as the triple elements of the ancient Isles, Earth, Water and Fire, all elements presided over by the Great Goddess. The four armed "Brigit's Cross" ornaments the anvil, upon which rest hammer, tongs and sword. 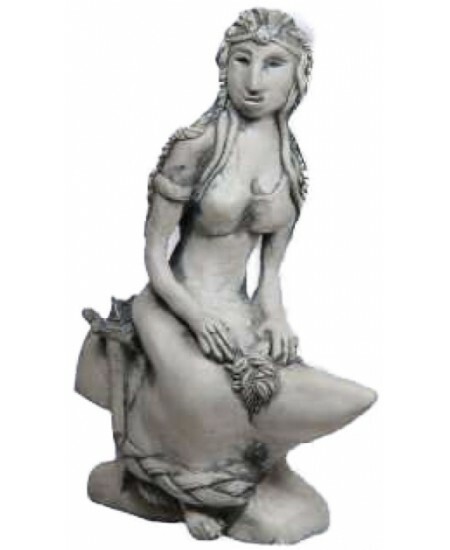 5 1/2 inches high cold cast resin statue with antique finish by artist Abby Willowroot. Item Number: SS-ABR | Approximate Size (Inches): 3.00 wide x 3.00 deep x 5.50 high | Approximate Shipping Weight: 2.00 lbs.